This list of movies somewhat presents Native Americans and their culture. While some of these movies provide an accurate account of the Native American lifestyle, some are horribly stereotyped. Suggestions to other films are welcome. A half-Indian/half-white ex-Green Beret who is being more toward his Indian side. He hates violence, but can't get away from it in the white man's world. Pitting the the students of the peace-loving free-arts school in the desert vs. the conservative bad guys in the near-by town. In the 17th century a Jesuit priest and young companion are escorted through the wilderness of Quebec by Algonquin Indians to find a mission in the dead of winter. The Jesuit experiences a spiritual journey while his young companion falls in love with the Algonquin chief's daughter underneath the imposing mountains. Dread and death follows them upriver. Buffalo Bill (Paul Newman) plans to put on his own Wild West sideshow, and Chief Sitting Bull has agreed to appear in it. However, Sitting Bull has his own hidden agenda, involving the President and General Custer. Indian Bronson plays noble savage, using extreme violence to protect himself and his property. John Ford dramatized the plight of the Indian much more realistically and in a period when it was not popular to do so. In a class with Ulzana's Raid, this movie is a must. During the Civil War, a pair of newlyweds travel west hoping to start their life together on unclaimed, fertile ground. En route, they face vicious outlaws and hostile Indians. When the young husband is murdered, his pregnant widow must brave life alone. Soon she discovers a dying Cheyenne warrior. Gentlewoman that she is, the mate-less woman takes him in and nurses him back to health. A lawyer loses an appeal to stop a logging company from clear-cutting Native American land, Arthur, an Indian militant drags him and the kidnapped logging mill manager into the forest. A former prospector looks back at his life and explains his brutal massacre of a tribe of Indians. The lives of young Native Americans on a reservation are showcased in this often humorous youth-appeal drama about two teens and their thirst for revenge against a local hoodlum who murdered a native girl. An interesting perspective of how Geronimo, with 34 men, managed to elude 5000 U.S. cavalry men between 1885 and 1886 before his surrender at the Canyon of the Skeletons in September 1886. 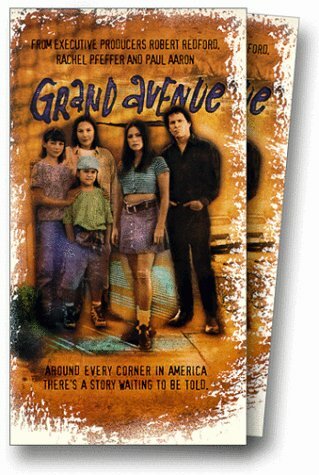 Three American Indian families attempt to retain their cultural heritage while trying to enter modern American society. An adventure about a legendary Cheyenne Indian in 1848 Montana who kidnaps a trapper's daughter, triggering a relentless search and the revelation of unsuspected truths for both father and daughter. The true story of an aboriginal trapper and environmentalist in Canada in the 1930s. A chronicle of the war between the United States Army and the Nez Perce Indian Nation. Chief Joseph initially agrees to the terms offered by General Howard, and allows his tribe's land to be settled by white men. When Howard reneges, however, Joseph and his tribe go on the offensive, pursuing Howard's men all the way to Canada before the tribe can no longer stand the strains and horrors of war. The controversial story of American Indian Movement leader Leonard Peltier, who in 1975 was convicted of the murder of two FBI agents and sentenced to life in prison. 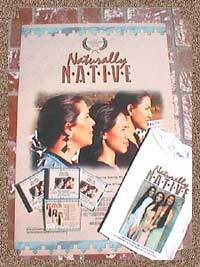 Part of the television series "Native Americans," "Lakota Woman" is based on the memoirs of Mary Crow Dog. Mary grew up on an Indian reservation in South Dakota and was educated in a Catholic school without exposure to her cultural heritage. After a number of years drifting from one bad situation to another, Mary became an activist for Indian affairs and joined the American Indian Movement. The organization's (and Mary's) finest moment came with the 1973 siege of Wounded Knee, the site of Custer's slaughter of several hundred Native Americans in 1890. This is a true story. It is more emotional than a soap opera and, yet, unflinchingly genuine. Just as was depicted in this film, Ishii stumbled into a white man's barn near Oroville, California, in 1911. He later told Kroeber that he expected nothing but death. Graham Greene's portrayal of a soft-spoken primitive gentleman is delightful. Greene's Ishii speaks English only after a fashion. If you have the time, look up Kroeber's story of Ishii in the "Handbook of California Indians". Jack Crabb is about 100 years old as the film begins. A collector of oral histories asks him about his past. He recounts being captured and raised by Indians, becoming a gunslinger, marrying an Indian, watching her killed by General George Armstrong Custer, and becoming a scout for him at Little Big Horn. When a Native American photojournalist returns to his reservation for his mother's funeral he discovers the strength of his background. Three Native American sisters decide to try to sell a line of cosmetics they call Naturally Native, based on old tribal remedies, only to have to fight an uphill battle with racist business people. "Pow Wow Highway" has the true spirit of independent film making as it pushes aside all the bells and whistles of Hollywood and cuts straight to the heart of the matter. And the heart of the matter in this film is a powerful narrative in the form of friendship and family. The story of Lakota Sioux tribal police officer Rudy Yellow Lodge (Schweig), and his older brother, Mogie (Greene), an alcoholic, and how their lives differ upon their return from serving in Vietnam. Young Thomas is a nerd in his reservation, wearing oversize glasses and telling everyone stories no-one wants to here. His parents died in a fire in 1976, and Thomas was saved by Arnold. Arnold soon left his family (and his tough son Victor), and Victor hasn't seen his father for 10 years. When Victor hears Arnold has died, Thomas offers him funding for the trip to get Arnold's remains, but only if Thomas will also go with him. Thomas and Victor hit the road. A 16-year-old Ojibway Indian boy goes to live with his grandfather on the reservation after being moved from one foster home to another. There he learns the value of family, community and friendship. The true story of the Shawnee warrior Tecumseh, who led several tribes of the Indian Nation into war with the U.S. government over land. Based on the book "Panther in the Sky" by James Alexander Thom. A western classic based on the true story of a Pauite Indian, named Willie Boy, and his bride who become the objects of a manhunt after he kills his girlfriend's father in self defense, and the two go on the run, pursued by a search posse. While the Revolutionary War rages, two Iroquois brothers battle with settlers moving into new territory. Semi-autobiographical story of a boy caught between two cultures in rural Oklahoma. Hunter Kirk's mother is an Indian, and his father is white. If that isn't enough of a challenge, the boy is beset with hemophilia. But as he grows into manhood, Hunter refuses to let his handicap become a liability as he embarks on a journey of self-discovery and reaches out to his estranged father. The story of 8-year-old Little Tree, an orphaned boy whose sojourn at his grandparents' backwoods Smoky Mountains cabin sparks a legacy of learning about his Cherokee roots and the oppressive government that seeks to assimilate him. Based on Forrest Carter's controversial novel. A group of re-enactors attempt to stage a hundred year anniversary battle between US Cavalry and Blackfeet Indians. A wilderness adventure tale about a young man and his Native American friend who go on a search through the Yukon for a legendary gold treasure. When they encounter resistance from a hostile tribe, they must band together even closer to make it out alive. During WWII, the Navajo language was used for decoding top secret messages because it was a code that the Japanese did not have the resources to break. 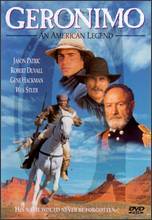 This movie plays upon the scenario that they might've tried to do something about that by kidnapping Navajo soldiers, . The military was aware of the danger to the Navajo soldiers, so they assigned a Marine to each as bodyguard, with the orders that if capture appears imminent, the Marine should kill the Navajo soldier as well. American Indian life is depicted with careful attention paid to authenticity and detail in this fine film. A Cheyenne chief relates his life memories to his grandchildren. A Blackfoot chief kidnaps two children after white men ignore his request for badly needed smallpox medicine.